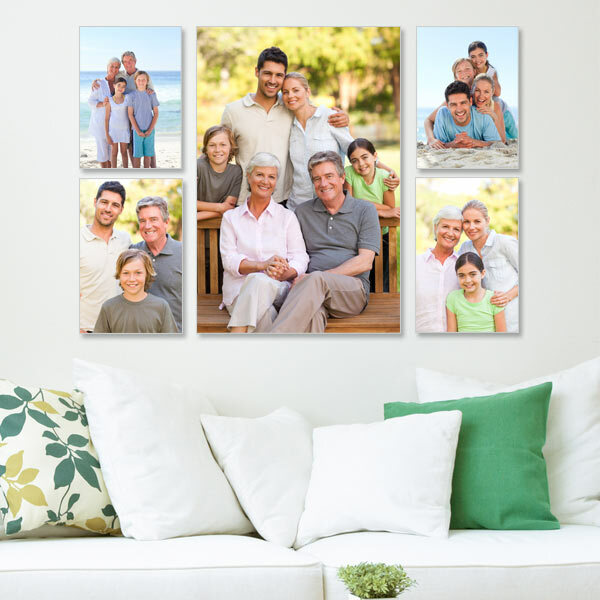 Highlight your family and accent your best photo with four surrounding (supporting) photos with the Center Focus Five photos on canvas arrangement in your home. Cluster canvas groupings add interest and highlight an event or subject in your life. Order photos on canvas and create captivating wall art displays featuring your life. The main focus of your canvas arrangement comes to life with clustered canvas center focus five.